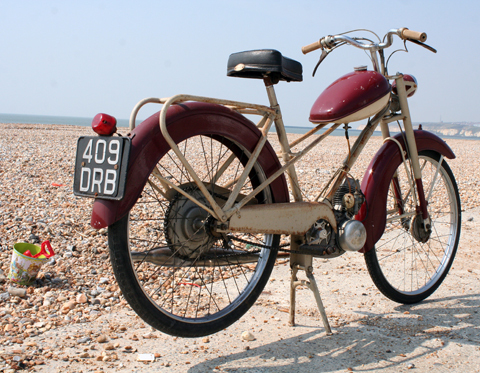 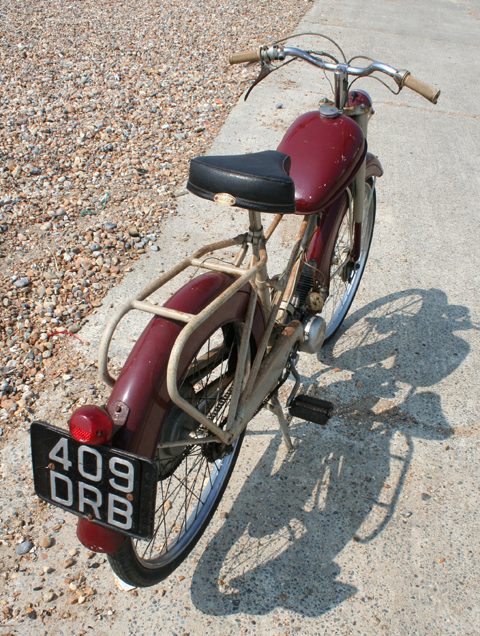 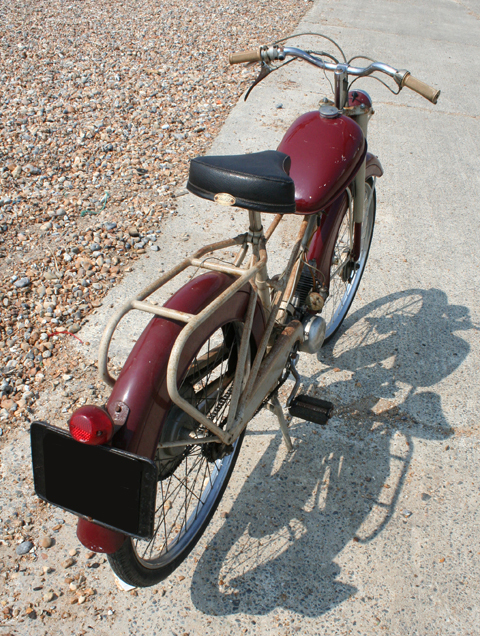 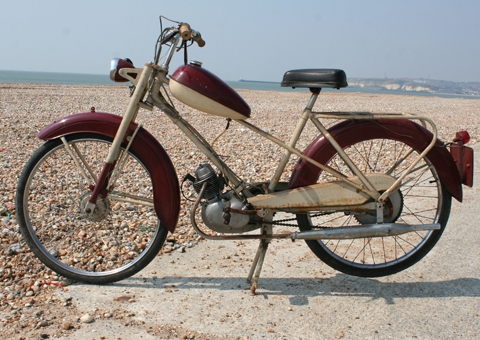 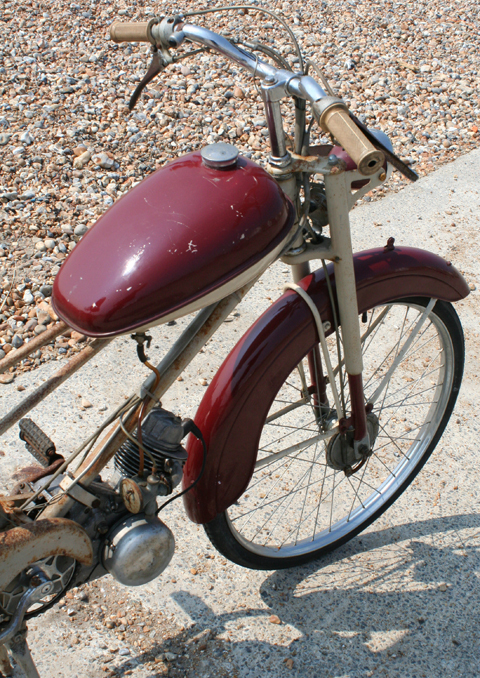 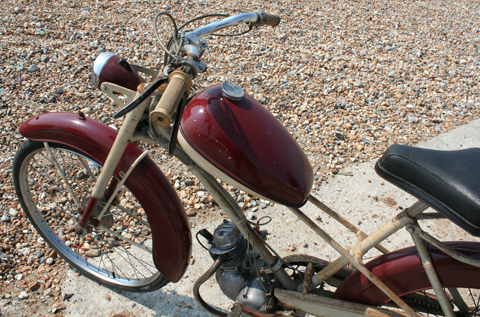 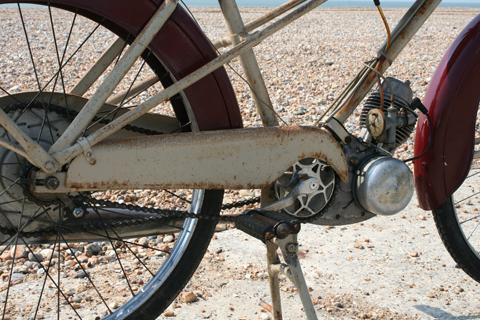 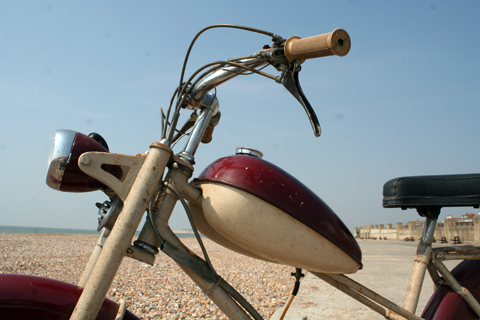 The Mercette is one of the rarest British cyclemotors, and this example – believed one of only four to have survived – is in good original condition. 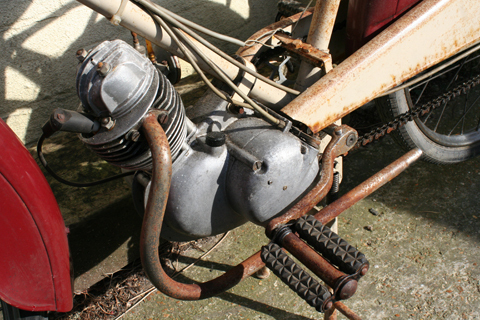 The paintwork is unrestored, an ‘oily rag’ as we call it. 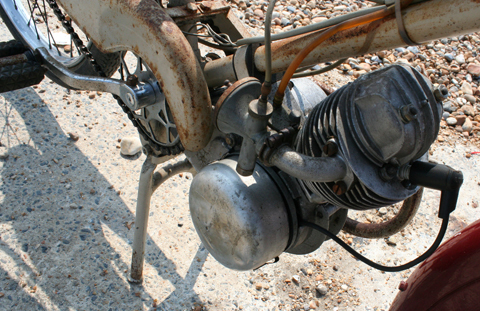 It starts and runs. 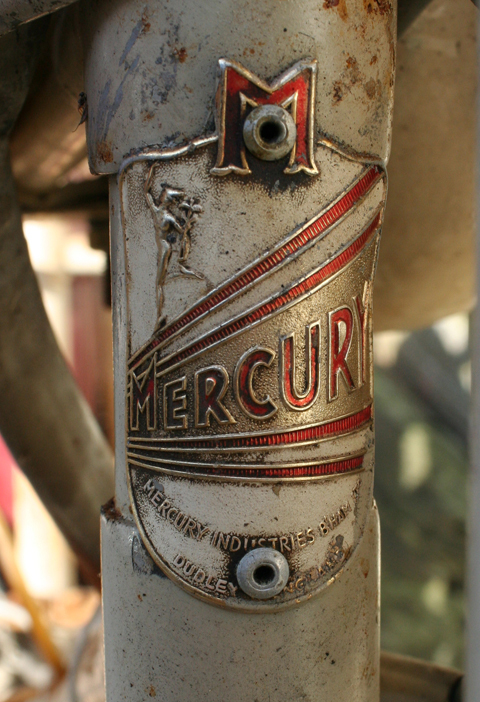 Mercury Industries (Birmingham) Ltd was founded in 1946 and produced large numbers of bicycles, initially in Birmingham and then in Dudley, the overwhelming majority being for export. 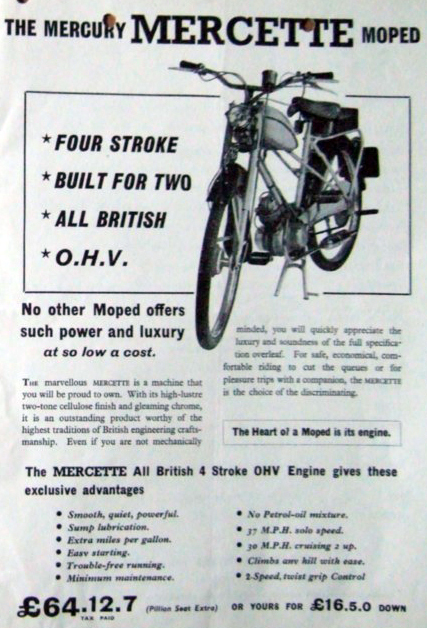 The thing that surprised me most about this motorcycle when I first saw it was how big it is. 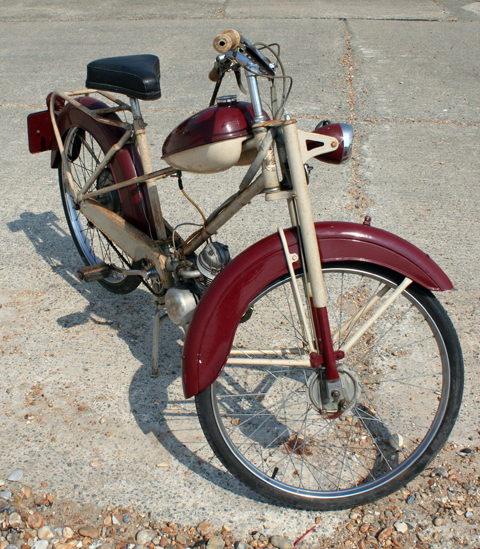 It’s bigger than other 1950s mopeds, and more like the size of a small motorcycle. 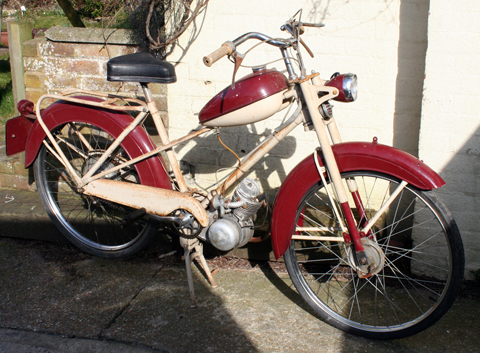 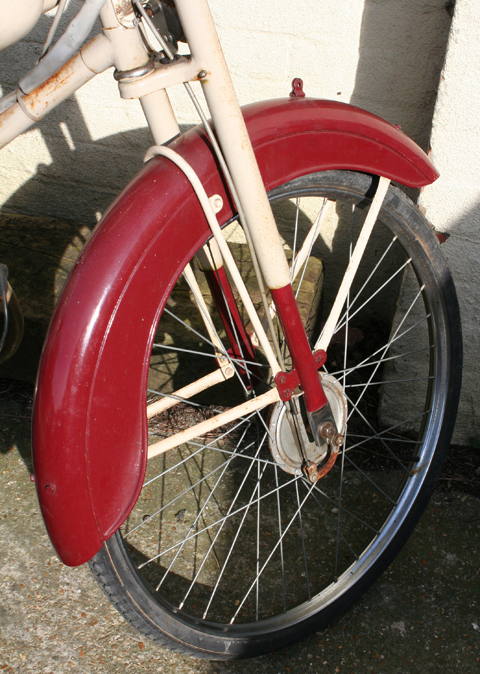 This one is in lovely original condition, oozing patina out of every crack and crevice.